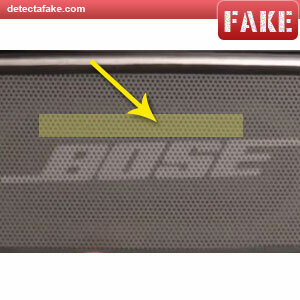 There are growing numbers of counterfeit Bose products in the marketplace. 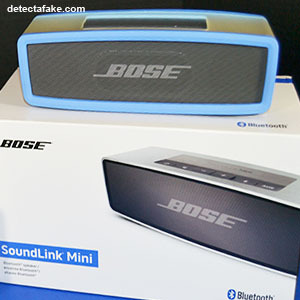 Unfortunately for the Soundlink Mini, the fakes are copied remarkably well. There are a few differences we will show you below to make sure you don't purchase any. 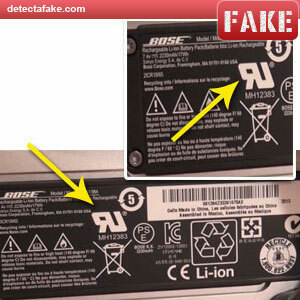 Even the packaging is done very well by most of the counterfeits. 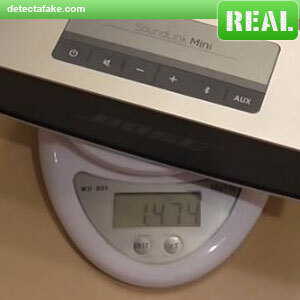 The sound quality is where the real problem exists, so use the steps below to verify your Soundlink Mini is genuine. 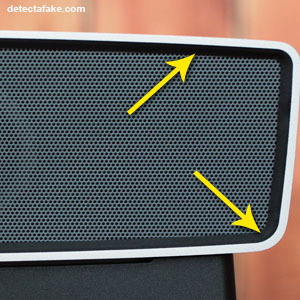 The first thing to check is the "Bose" alignment on the speaker. 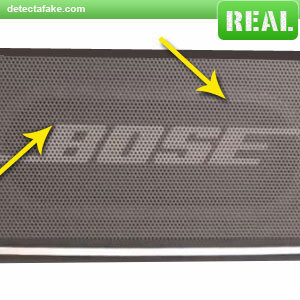 On the real one you can see the "Bose" is straight but on the fake one, it goes uphill. 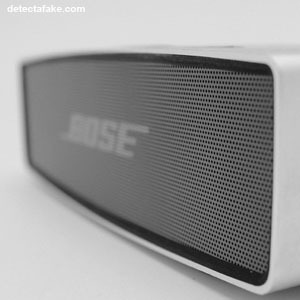 We placed a straight yellow box over the top of the "Bose" so you can see how out of alignment it is. This will never happen with a real one. Next, remove the cover on the bottom and check the placement of the "RU" and some of the other printing errors. Your device should look like the one on the right. Next, look at the connectors on the cradle. 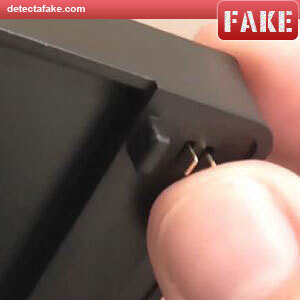 The real connectors are spring loaded and the fakes are rigid. Next, look on the Soundlink where the cradle connects when it's docked. They should be flat and not recessed. 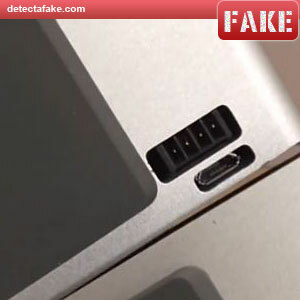 If it looks like the one on the right, it's fake. Next, check the rubber around the grill on the back. 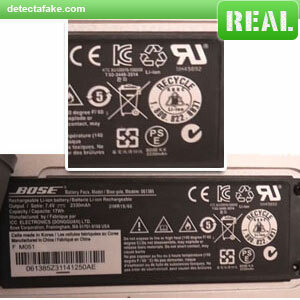 On many of the fakes, the quality is very poor and does not look uniform. 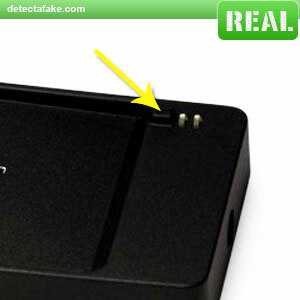 This is a high end device and even a small detail like this should look perfect. 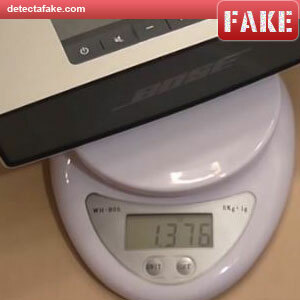 Now, if you have a scale, weigh it in lbs. and as you can see, there is a weight difference. It's not a lot but the real ones do weigh slightly more.